⬅ Who Can Qualify My Welders? How Hard is the CWI Exam? 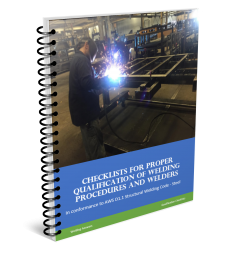 Are you planning on becoming a certified welding inspector (CWI) in the near future? Or do you need one of your employees to get this certification? If so, you have probably heard that the exam is pretty tough. Although the American Welding Society (AWS) does not publish information on passing rates, it is estimated that only about 30 to 40% of CWI hopefuls pass the test on their first try. The body of knowledge for the CWI exam can be owerwhelming. Get an early start on your preparation. Why is the passing rate so low? If you ask 20 people you probably get at least 15 different answers. Some go as far as saying that AWS makes it impossible to pass this exam in order to make more money off of hard working individuals. After all, the fee for taking the test as of the writing of this article is $1,065 ($850 for AWS members). Back to our original question, how hard is the CWI exam? This exam is extremely hard. Some professional engineers that have taken both the PE exam and the CWI exam say the CWI exam is much harder. We don’t necessarily agree with this, but it goes to show that the CWI exam is very challenging. At the end of the day what makes it hard (or easy) is how well you prepare. Below are, in our opinion, the major contributing factors to failing the exam on the first try. Usually you learn from your mistakes and pass on the second go-around. Ideally, you learn from the mistakes of others and pass on your first try. 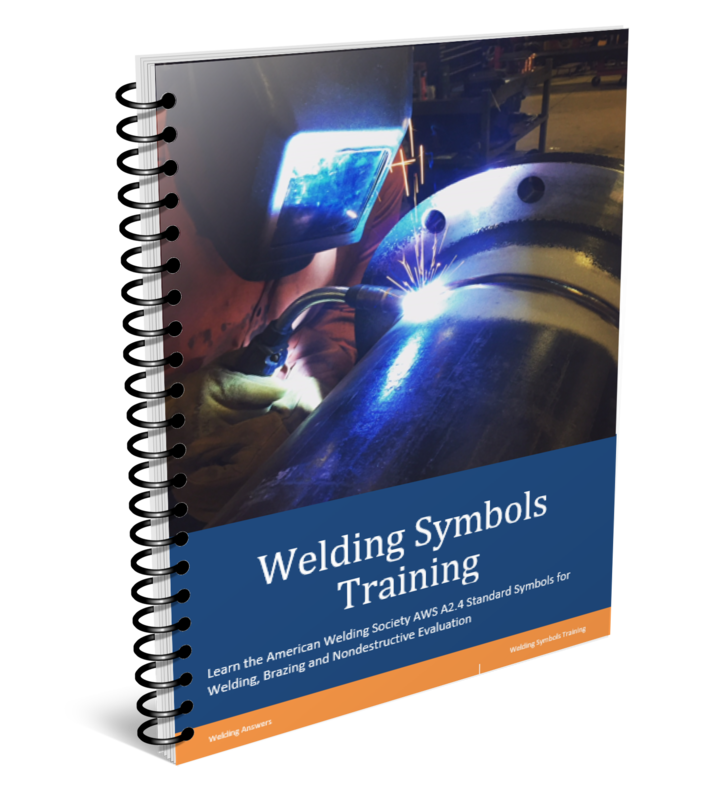 Lack of preparation – this one should go without saying, but if you don’t take time to prepare for this test you will probably fail, regardless of how much you know about welding. 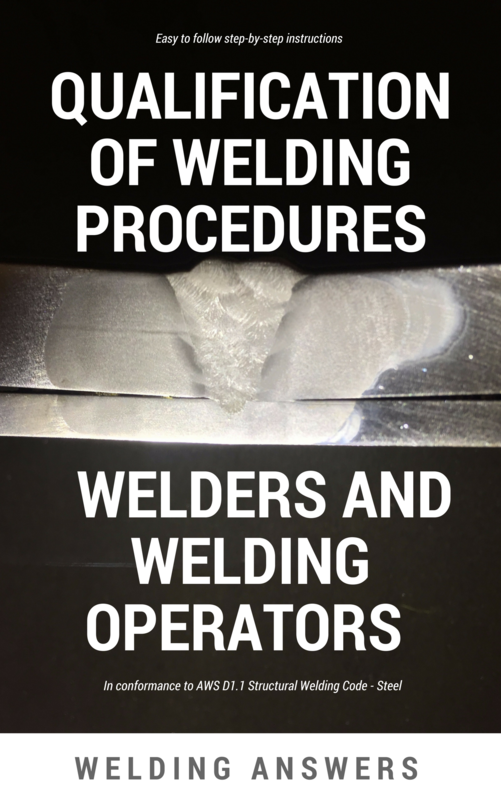 If you have been welding for 20 years, or have been inspecting welds for 20 years, or are a degreed welding engineer, it doesn’t matter. You have to spend the time preparing. This means reading reference material, taking practices exams, asking other CWIs about their experience taking the test and getting to know the test format. Prepare as much as you can. It is very important that you take multiple practice exams. These must be exams and not just questions. There is a time constraint in each of the parts of the exam. You must practice answering questions under time pressure. If you attend one of the week-long seminars offered by AWS you will be given practice exams. However, this gives you only a week to prepare. Try finding practice exams several weeks before your testing date. Not having a test-taking strategy – All three parts of the CWI exam are challenging and if you don’t have a strategy on how to attack the questions you may be in trouble. Knowing how much time you can allot to each question is important. Knowing you don’t need to score a 100% to pass is also very important. Many people end up spending a lot of time in a single question and then run out of time with many questions left. In Part B you will have about 46 questions. This means you only need 33 correct answers to pass (passing grade is a minimum of 72%). If you blow 20 minutes trying to get a question right you will end up failing. Each question is worth approximately 2.2% of the final grade. Don’t let a single question derail you. 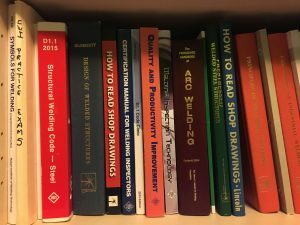 How to set up your test area – in Part B you will have a “fake” code book, inspection tools, plastic replicas of welds, a book of exhibits and your pencils. You will be surprised how much time you can waste looking for a fillet gauge. Knowing what to do to relax – this test can be quite stressful, especially if your job, or future job depends on it. Knowing what to do in the event you become overwhelmed or start hyperventilating can be your key to passing. Not checking your work – This relates to part C of the examination. In Part C you are tested on your ability to use the code book. 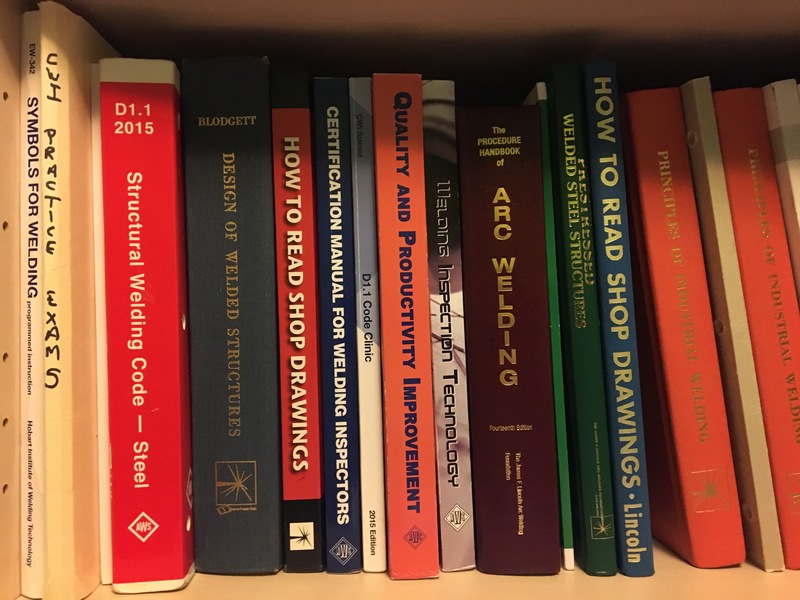 Which code book depends on your choice, it can be D1.1, D1.2, API 1104, ASME Section VII & IX and a few other choices. Many veteran inspectors who are going for their certification or recertification answer questions on Part C off the top of their head and don’t verify it by finding the answer in the code book. Many mistakes can be made this way. Codes can be tricky. Much information is provided in tables and then complemented by footnotes. This is what we mean. Suppose a question is asking the test taker to correctly identify the preheat temperature required for welding half-inch thick ASTM A36 steel in order to use a prequalified welding procedure as allowed in AWS D1.1. If you are from Texas or Florida (very mild winters) you probably would never preheat A36 when it is less than 3/4” thick. One of the choices would be “No preheat is required when material thickness is below ¾ inches” and you may be tempted to choose it. Of course, the correct answer is 32˚F [0˚C]. In the winter months steel stored outside a shop can dip below this temperature and would require preheat. Simply checking the correct table in AWS D1.1 would have made this very clear and would have taken no more than 20 – 30 seconds. Hopefully these warnings can help you avoid costly mistakes when taking the CWI exam. If you are taking the exam soon or would like to get a feel for the type of questions you would see you can click here to get sample CWI exam questions. I would like to be sent a few questions about Material & Design, Fabrication and Qualification if you wouldn’t mind. I am scheduled to take Part C of D1.1 Code in May for my last retest, my preparation has been lacking and I think extra questions other than the 3 exams in the back of the Code Clinic Book would help. I am starting to memorize all the answers which doesn’t help me practice navigating the Code Book. Thank you for your help! Hello Chris, which code book are you using? D1.1? Or any of the others (D1.2, API 1104, ASME Sec IX, etc. )?